Q: How much will be awarded each year? A: The amount of the awards will be based on the financial ability of FHTPEF. In the past, awards have been as high as $3500. Q: Am I eligible to win a scholarship each year I participate? A: Yes. Amounts will accrue each year in a separate account. Q: When are scholarship funds available? A: At the time of verified enrollment at an approved college, university, trade, or technical school. Q: What's the event format? A: There are three rounds of questions. The first round requires true/false and multiple choice answers. The second round requires short written answers. 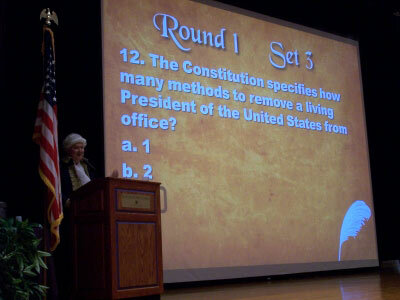 The third and final round requires an oral presentation answering a question provided at the start of the Bee. Q: Are donations to FHTPEF tax deductible? A: Yes, we are registered as a 501(c)3 organization with the IRS.